What is Radio Frequency Ablation (RFA) ? For certain people, the source of back pain is the irritation associated with cartilage wear in the facet joints of the spine. This wear and tear cause the nerves from that particular facet joint to excite, and causes pain. The typical pain is a back pain, that localizes to the lower back, and buttock, or in the neck, the base of the neck, into the trapezius muscles. 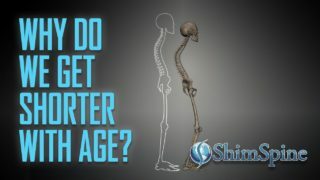 Based on testing such as MRI’s or even CT scans, the degeneration of those joints can be identified. As discussed many times in my previous blogs, the findings on MRI’s or CT scans however, may not correlate to your spine pain, as there can still be many sources of neck and back pain. These studies must be considered with the physical exam findings. If the pain, the physical exam findings and the diagnostic studies match a particular pattern, you can go to the next step, which I will discuss shortly. Mary is a 40 year old female, who has developed continued low back pain. She recognizes the pain is worse in the morning when she first gets up. When she bends backwards, it reproduces a pain that radiates to the same area of the buttock on the right side. Initially, she had improvement with the use of over the counter ibuprofen, but with increasing activities, she has that same reproducible back pain to the right side. Her physical exam was consistent with irritation to the right lower back along the facets. Her Family Doctor was successful in ordering a back MRI. It shows arthritis changes to the right lower back facet joints at L4-5, and L5-S1. In this example, Mary has a very consistent back pain complaint, with a consistent physical exam, and testing findings of facet arthritis located on the right side, which is the side of the pain. Joe is a 45 year old male, who has developed continued low back pain. He cannot identify a particular pattern to the pain. He just knows it is there, and getting worse. There is a significant family history of back pain. He has been to the ER on several occasions. He has run out of the medications prescribed. At times, the pain is bearable. When stressed out, he notices the pain has worsened. He has had back pain on and off since a work injury years ago. His physical exam identifies pain to the whole back. He describes a pulling sensation to the thighs at times. His family doctor did get an MRI. 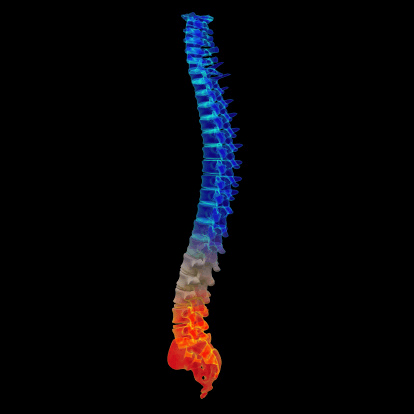 It shows disk degeneration findings at every level of his spine, with a small disk herniation and bone spur at the L4-L5 level. In this example, it is not clear what the MRI is identifying other than diffuse degeneration. It is not clear if the pain is a genetic problem, a problem specific to the disk degeneration, a problem from the disk, or a diffuse overuse muscle issue. In the first scenario, injections to the right lumbar facet joints may give relief. In the second scenario, any injection treatments may be just a process of elimination, and any benefit may be a short term relief associated with the cortizone injected into the body. 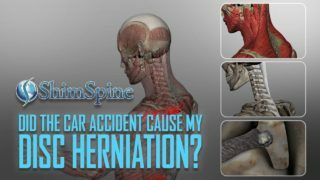 If there is good relief of pain from the Facet Joint Injections, then the Physician may have identified the source of the pain, the degeneration of the facet joints of the lower back . If there is reproducible pain relief with these injections, there is a potential for longer term relief by stopping the pain nerve signals from that facet joint. The nerve from the facet joint is usually follows a specific route. If the nerve can be turned off by impairing it on that route, it can have a much longer pain relief effect. That turning off of the nerve to the Facet Joint can be accomplished by the so called RADIOFREQUENCY ABLATION Procedure of the Spine. While not all patients are candidates for this procedure, it has been very helpful for the properly selected person. Please consider a consultation to see if you are a candidate for the procedure.